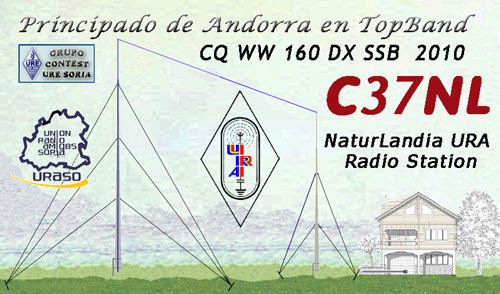 Members of Union de de Radioaficionados Andorranos (URA) will be active from Andorra in CQ WW DX SSB Contest 29 - 30 October 2016 as C37NL. They will be in M/2 Category. Unio de Radioaficionats Andorrans, P.O. Box 1150, Andorra la Vella AD553, Andorra. Andorra is basically one of microstates present inside Southwest of Europe that has borders with Spain and is situated in east of Pyrenees. Interesting point to highlight is that it comes at 6th spot in list of smallest European nations and covers an area of 181 sq mi and estimates gathered from reliable sources suggest that in year 2012 85,000 individuals were residing in this place. Andorra la Vella holds status of being capital city and is noted for possessing elevation of 1023 m above level of sea. Popular languages like Portuguese, French, and Spanish are spoken here, but Catalan enjoys status of being authorized language. There are many interesting aspects associated with this country and it’s noted mostly its natural beauty and wonderful scenes. Prosperity prevails here and main credit for this is given to tourism industry and estimates indicate that annually 10.2 million individuals visit this place it is counted in tax havens of this world, but reforms associated with tax regimes are being introduced also the country is not included in list of members of European Union, but since year 1993 it has attained status of being a member of UN. Another important aspect associated with this region is that natives enjoy second highest expectancy at time of birth in world. The city enjoys status of being capital and possesses great significance and value of its own. 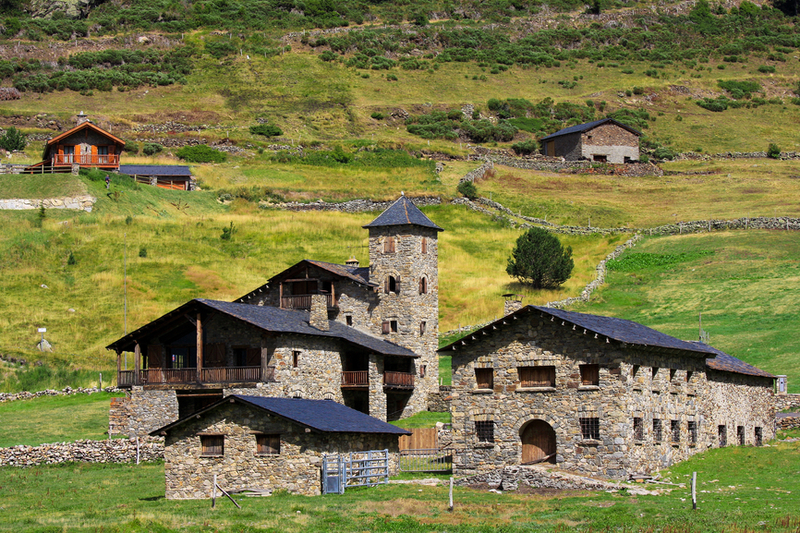 It is situated higher in eastern Pyrenees among Spain and France. The estimates, which were collected in 2011 indicated that population of this city is 22,256. Tourism is main industry, but other strong contributors towards economy are also present. Climatic conditions of this city are termed as oceanic, summers are milder, but snows are a prominent event during winters and mean annual precipitation is 35 in. Capital enjoys status of being one of commercial centers of country this city is popular and noted for its activity and contributions towards well being of country as important centers and buildings are situated here. Seven main parishes are associated with this region. As we have already indicated above that country is situated towards east of Pyrenees mountainous ranges so basically region consists of mountains that are rugged also Coma Pedrosa enjoys status of being highest mountain that possesses a height of 2942m. Area of land over which Andorra is extended is 468 kilometer squares. The beauty of this region is magnificent and breathe taking and best part is that governing authorities give special consideration to maintenance and prosperity of country and its natural scenes. The experts state that this part of world possesses alpine climatic conditions and elevation indicated towards point that snow is a famous event in winters and low humidity and summers are cool. Data suggests that three hundred days per year of sunshine are present in this region. 80 percent of GDP is earned from tourism industry and estimates indicate towards point that a total of 10.2 million visitors come here every year and many reasons are present behind this. They are mostly attracted towards charming resorts also being a duty free station it manages to capture interests of masses. 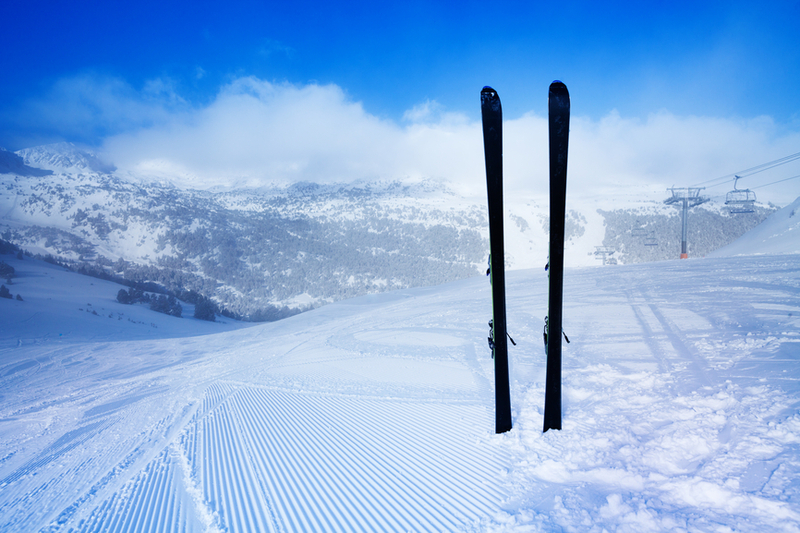 Ski resorts that are noted for extending over an area of 175 kilometers of ski grounds. Skiing has created a stronger impact upon economical aspects of Andorra and approximately seven million individuals come to this region. Presently 340 million euro every year is generated providing two thousand direct and ten thousand indirect employment options. Financial systems consist of five groups of banking and other sectors all of these are under strict monitoring of government. Productions that are agricultural based are restricted as only two percent of land is cultivable. Natives grow tobacco and sheep are included in domestic livestock. Outputs related with manufacturing consist of furniture, cigarettes and cigars. The natural resources associated with Andorra also deserve a special mention here as they also contribute towards stability of economy. The association between European Union and Andorra is very special as it gets treatment of being one of members of trade for manufacturing goods. Interesting aspect that should be highlighted here is that country didn’t had it own currency so it preferred to utilize Franc also Peseta till 1999 after this replacement of both these currencies took place and one EU currency was introduced. The best thing associated with economical aspects of this region is that in year 2009 it was indicated that only an unemployment rate 2.9 percent is present in this country. This country is prosperous with decent health care facilities and living standards of individuals are also very high. The estimates, which were collected in year 2011 indicated towards point that 85,082 individuals live in this country. Interesting point that should be highlighted here is that 2/3 of population of this country consists of citizens who don’t possess nationality of Andorran and these don’t possess any kind of right of vote in community elections. You are going to find Italians, Portuguese, French and British here as well. Catalan enjoys status of being authorized language and its utilization is supported by governing bodies on large scale. National TV stations and radio centers also use Catalan. However, French, Spanish and Portuguese are generally used by people here and many reasons contribute towards this development. Members of Muslim community also live here also smaller communities of Hindus are present here. Approximately one hundred Jews are also found living here. Important point is that religious harmony prevails here and people show respect towards each other’s religious beliefs. C37NL. Where is Andorra located. Map. Nice to work C37NL Contest 5/9 in uk sounding good.